J.D. Salinger wrote in chapter 3 of Catcher in the Rye ‘What really knocks me out is a book that, when you’re all done reading it, you wish the author that wrote it was a terrific friend of yours and you could call him up on the phone whenever you felt like it’. He concluded that such books were few and far between. This is one of those books. As you would expect from a learned institution the text is authoritive and well-informed. Yet, rather than being heavy or overly-academic, the manner in which Michael Hall, former architectural editor of Country Life and editor of Apollo, unravels the story of four centuries of the Cavendish family and their collections is easy, comforting and entertaining. In the spirit of Salinger it feels just as if a good friend is at your side personally acting as storyteller and guide. The story starts in 1597 when the lease for Welbeck Abbey in Nottinghamshire was sold to Sir Charles Cavendish, son of the powerful Elizabeth, Countess of Shrewsbury (1527-1608), more commonly known as Bess of Hardwick. His son, the staunch Royalist William (1593-1679), was created first Duke of Newcastle soon after the Restoration and became a much respected authority on horsemanship and enthusiast for the works of Anthony Van Dyck. Welbeck passed to Lady Margaret Cavendish (1661-1716) on the death of the 2nd duke in 1691 and thence to her only daughter Henrietta (1994-1755) who took on her father’s name of Holles and married the notable bibliophile and collector Edward Harley (1689-1741), 2nd Earl of Oxford. The third woman to inherit Welbeck was Margaret (1715-88) who herself was a collector and naturalist. Subsequent heirs to the Welbeck fortunes were Lady Margaret’s son William (1738-1809), 3rd Duke of Portland and twice prime minister; his son, also William (1768-1854), the frugal agricultural improver who transformed the fortunes of the estate and then another William (1800-79) who made significant contributions to the architectural development of the house and to the curatorship of the collections. The 6th Duke of Portland (1857-1943) inherited Welbeck from his cousin, who he had never met. The significance of the owners is matched by the richness of the collections they amassed. Today the Portland collection comprises portraits, silver, jewellery, furniture, tapestries of the highest quality and one of the finest collections of portrait miniatures in private hands. The introduction of this lavish book makes clear that the family were not purposeful collectors in any traditional sense, but rather amassed beautiful objects to grace their home; the collection is, in the author’s words ‘a composite picture of the lives, enthusiasms and eccentricities of ten generations of one family, a few of whom are famous but most of whom are not’. 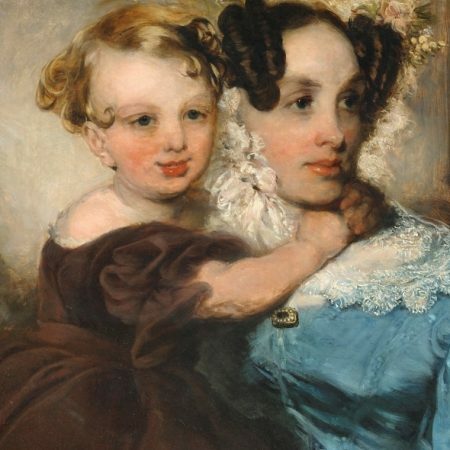 Prominent in the collections and reflected throughout the book is the abundance of magnificent portraiture, described by Michael Hall in Country Life as ‘one of the greatest assemblies of family portraits in England’. Alongside stunning full-length canvases of Elizabeth I by Marcus Gheeraerts the Elder, the 2nd generation owners of Welbeck Abbey by Daniel Mytens and works depicting the court of Charles I by Van Dyck are family portraits by Hyacinthe Rigaud, Sir Peter Lely, Godfrey Kneller, Benjamin West, Joshua Reynolds and the Hungarian artist Philip de László who enjoyed the 6th duke’s patronage. Of equal quality is the portrait miniature collection which too spans some three hundred years and includes Nicholas Hilliard’s miniature of Queen Elizabeth painted shortly after her death in 1601 as well as images by, amongst others, Hans Holbein, Peter Crosse and Christian Zincke. Of course such a first-rate collection warrants a book with high production standards and quality of layout. Again this publication does not disappoint. Contained within are museum standard illustrations − all numbered and fully explained in the captions. Furthermore, the handy wrap-around half dust jacket includes an extremely useful family tree which is cross referenced to the relevant chapter, the print quality is very high as is the quality of paper used and the further reading list is comprehensive and scholarly. An index might have been useful but to be fair the volume is so chronologically themed it would seem superfluous. Lawn Creative of Liverpool, who oversaw the interpretative materials and display design for the new galleries, must be congratulated on their exacting standards. Although its title might suggest a part-catalogue of the Portland collection now housed in new galleries at Welbeck Abbey, the text actually relates largely to the trials and tribulations of several generations of the same family. To complement their story the book is liberally spread with illustrations of their extraordinary collections. It’s a combination that works so incredibly well that it is hard to offer any suggestion of how it might be improved. 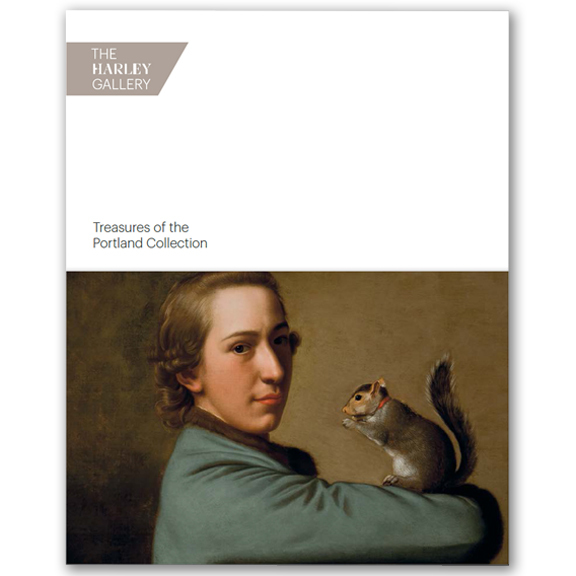 Treasurers of the Portland Collection is a book to cherish before, during and long-after visiting the Harley Gallery. My only criticism is that now I have ‘done reading it’ the author’s home telephone number is not included for further conversation and debate.